What Do Density and ILD/IFD Ratings For Memory Foam Mean? We often get asked about the density of the memory foams we use in our memory foam mattress and memory foam topper pads, and once in awhile about their IFD/ILD rating. And while we are happy to provide this technical data, I want to be clear that these technical specs alone do not give you a real indication of the comfort of a particular memory foam mattress or topper. Author David RosenbergPosted on March 22, 2016 February 20, 2017 Categories memory foam, memory foam mattress, Memory Foam Mattress TopperTags density, ifd, ild, memory foam, memory foam density, memory foam mattress, memory foam mattressesLeave a comment on What Do Density and ILD/IFD Ratings For Memory Foam Mean? Why is our Healthy Foundations 10″ Memory Foam Mattress so comfortable that 96% of its over 400 reviewers would recommend it to a friend? It’s quite simply due to our unique proprietary Comfort Matrix Construction™. What is our Comfort Matrix Construction™ and why is it so comfortable? 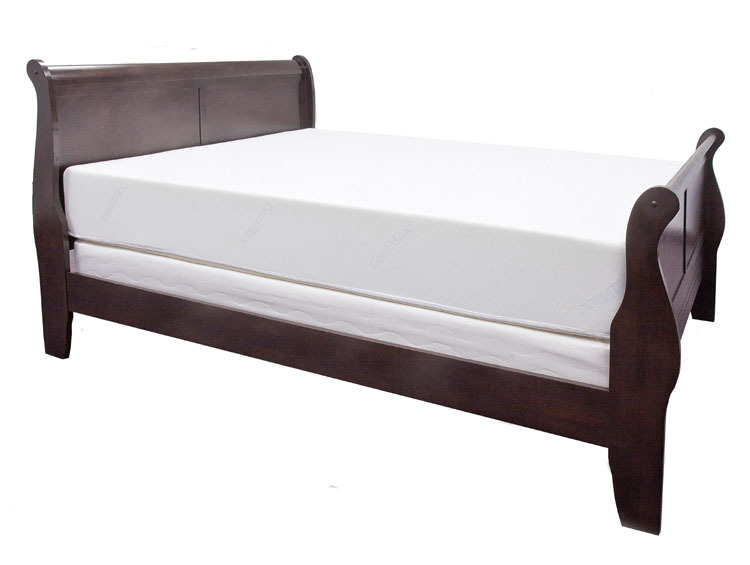 Cover – The cover or ticking is the outside of the mattress. In the case of a memory foam mattress, it is a cover rather than a sewn ticking.